Weddings are perfect opportunity to pretend like we are in a fairytale. The dress, the Prince (! ), being the center of attention. 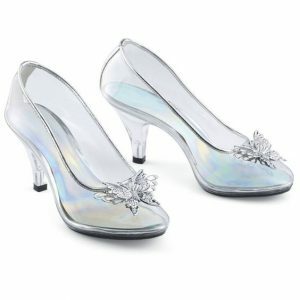 If all of these are not enough for you, try to add some real fairytale element like Cinderella shoes. We are here to help you to create your personal fairytale. Today we have a compilation to assist you when you try to figure out what kind of Cinderella you are. Our editors picked best designer shoes to inspire you. 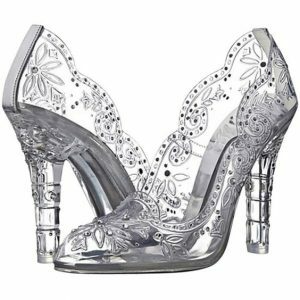 These sparkly open toe pumps don’t have classic Cinderella look. Transparent parts of shoes give enough mnemonic. 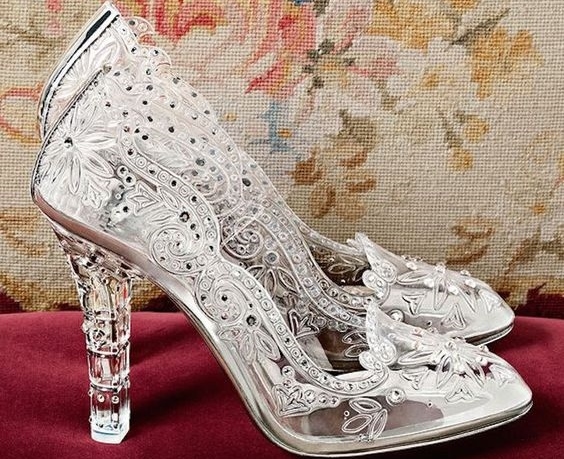 Here is a pair of shoes made of glass. 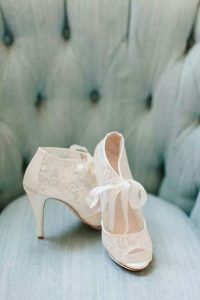 We know their accuracy is tempting but wearing this kind of shoes at your wedding day will be a total nightmare, and your feet won’t look cute. Here is a real Cinderella signature. Still, they have too much transparency, but if you trust your good looking feet, you can put a maybe here. These two gorgeous with lacy details help you out for a more comfortable night. Especially the one with the ribbon strap. Another amazing glass-looking pump. 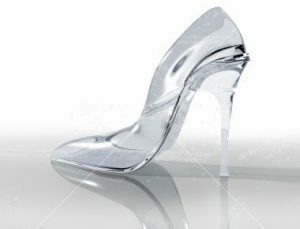 The heels made up from real glass. 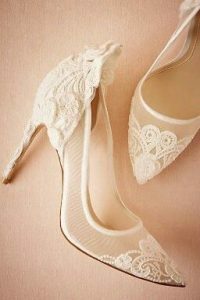 They are perfect to wear on your wedding like… 10 minutes. Yes, they are perfect for photo shooting but not for dancing. Fınally, these two made for more colorful brides. In the case of you want to add your something blue on your shoes. 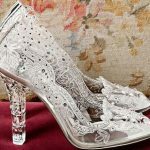 If you decide your Cinderella style and order bridal shoes, please don’t forget to contact our customer services via WhatsApp or email. The only thing you need to do, send us a photo of your favorite shoes and leave us your shoe size. 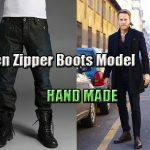 It doesn’t matter if you have small or big shoe size, we can produce every size just unique to you. Also, if you have orthopedic problems, special orthopedic needs, narrow or large bones, a problem like bunions, we can solve your problems by customizing shoes for you.